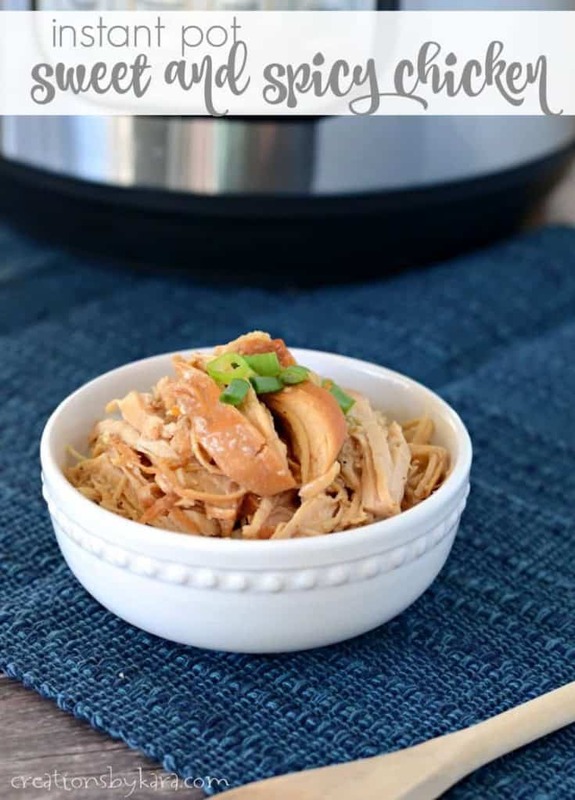 Instant Pot Sweet and Spicy Chicken . . . made in the pressure cooker, this chicken is quick to prepare. Brown sugar adds sweetness, and red pepper flakes give it a bit of a kick. An easy and delicious dinner recipe! 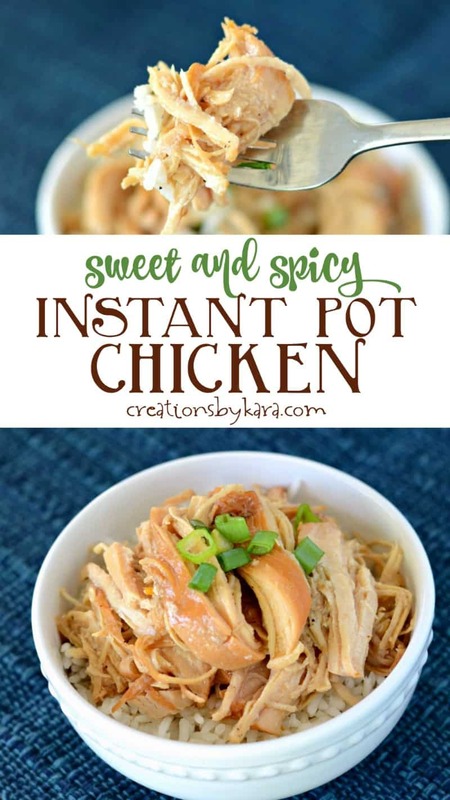 I have had my Instant Pot for over a year now, but I am still getting used to using it. I tried a couple chicken recipes that didn’t turn out. They weren’t horrible, they just weren’t tasty enough that my family raved about them. I did find a winner though. This sweet and spicy chicken was a hit with everyone in my family. We liked it so much that I’ve actually made it twice! Once with frozen chicken breasts and once with fresh. I’m including the cooking times for both in the recipe below. You can adjust the amount of heat in the recipe by adding more red pepper flakes. My youngest doesn’t like things real spicy, so I stick with just the 1/8 of a teaspoon. We love the balance of the spicy and the sweet together! I served this chicken over rice, but I think it would also be great on a bun, or just on its own. Now that summer is in full force, this will be one of my go-to meals. I love that it doesn’t heat up the oven, and that it makes a large enough batch that we have leftovers. Always a bonus in my book! I ended up with a lot of liquid, especially when I used the frozen chicken breast. Next time I will use more than the two tablespoons of cornstarch because the sauce was pretty thin. It’s still really tasty, it just doesn’t stick to the rice very well. 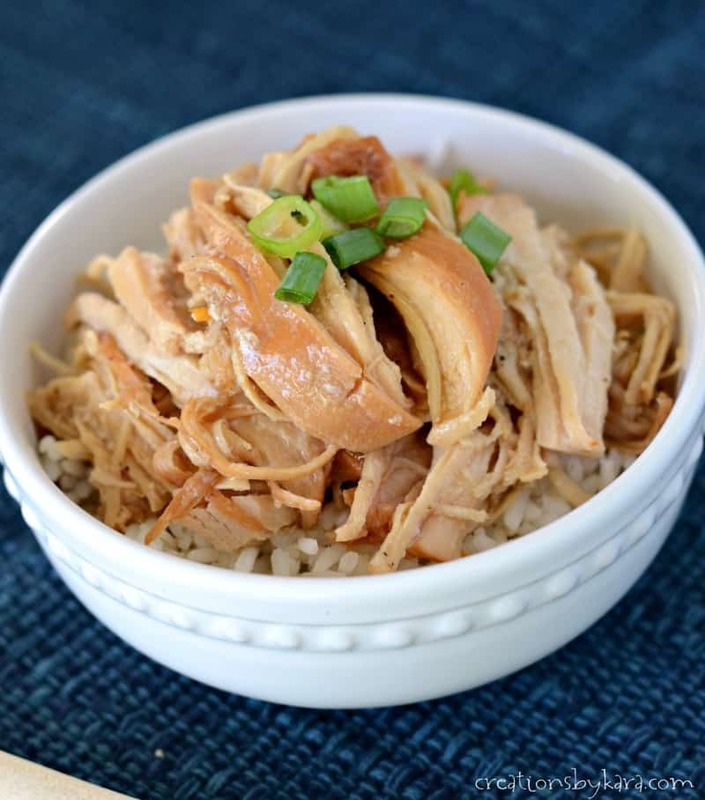 Sweet and spicy chicken made in an electric pressure cooker and served over rice. Combine vinegar, broth, soy sauce, lemon juice, ginger, garlic, pepper, and pepper flakes in a small bowl. Whisk together and pour over chicken. Tighten the lid on the Instant Pot and close the steam valve. Press "Manual", and adjust time to 25 minutes. 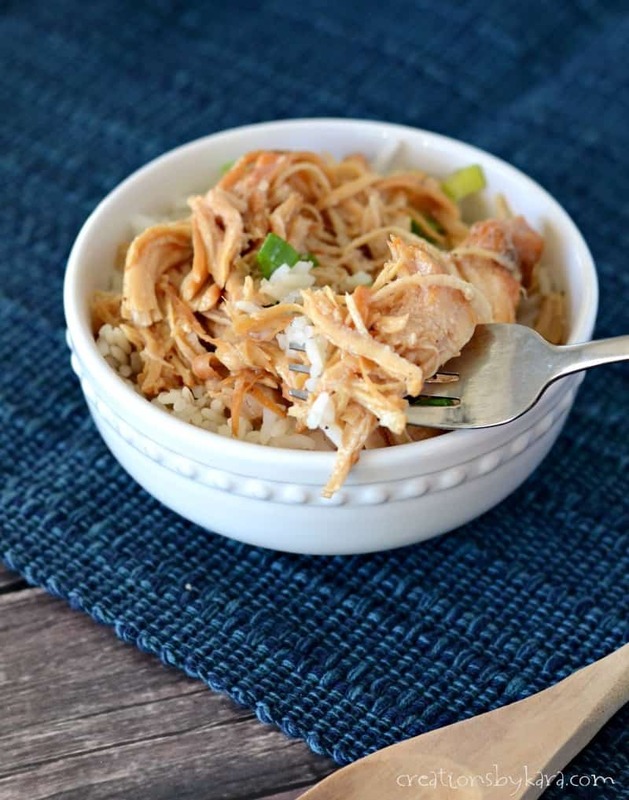 Serve chicken over rice and garnish with green onions if desired. This is such a great dinner when you don’t have a lot of time!! Love my Instant Pot!! Delicious! It is definitely a timesaver for busy moms like me! Mmmm..that is making me hungry!! This looks so good! It’d be great in so many dishes! 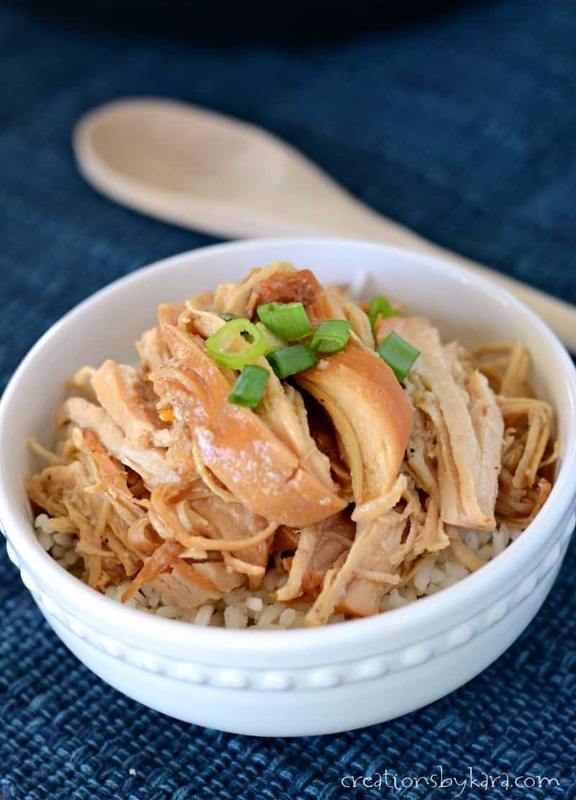 Thank you for sharing this lovely Sweet and Spicy Chicken recipe! 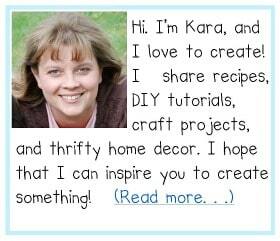 Extremely delicious, Kara! This chicken dish has turned out so well, just like we eat in a restaurant. How would you adapt this to just a regular crock pot? I would cook on low for 3-4 hours (using fresh or thawed chicken breasts). During the last 30 minutes, stir in the cornstarch/water mixture and turn the crock pot up to high to thicken the sauce. Give it a try and let me know how it works!